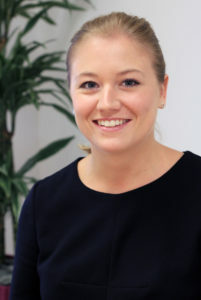 Kelly Edmundson a personal law solicitor based in our Ilkley office has become a fully accredited member of Solicitors for the Elderly (SFE), the national association of independent lawyers who specialise in advising older, vulnerable and elderly clients on all types of legal issues. Kelly Edmundson joined LCF Law three years ago and now specialises in wills, estate planning, Powers of Attorney and probate issues. To become a member of SFE, Kelly had to pass two separate exams explaining how she would advise people in a wide range of scenarios, as well as demonstrating that she already has substantial experience working with older and more vulnerable clients. Kelly and Personal Law Partner Ann Christian are the only solicitors in Ilkley who are fully accredited by the SFE, and two of only a handful in the whole of West Yorkshire. Kelly said: “Although we work with people of all ages, giving considered advice on all types of personal law issues, we have a growing number of older clients who often approach us because they have very specific requirements. As a firm, this is an area that we have a strong reputation in and it’s an aspect of the job that I particularly enjoy.